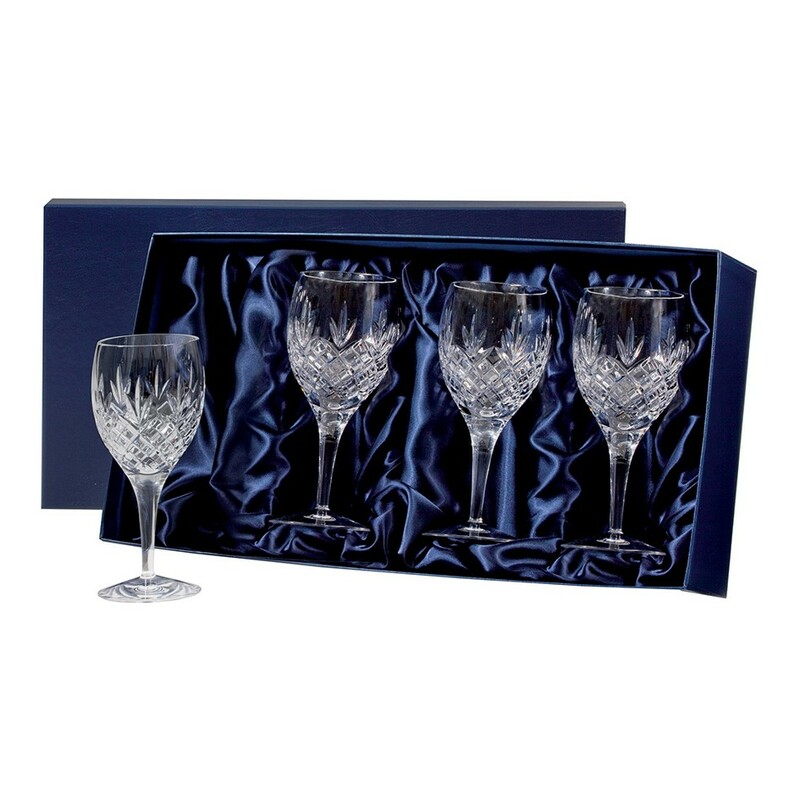 Presentation Box of 4 Edinburgh Large Wine Glasses. A classical hand cut wine suite inspired by the great tradition of the City of Edinburgh. A City which has created a legend out of glass for over four centuries. 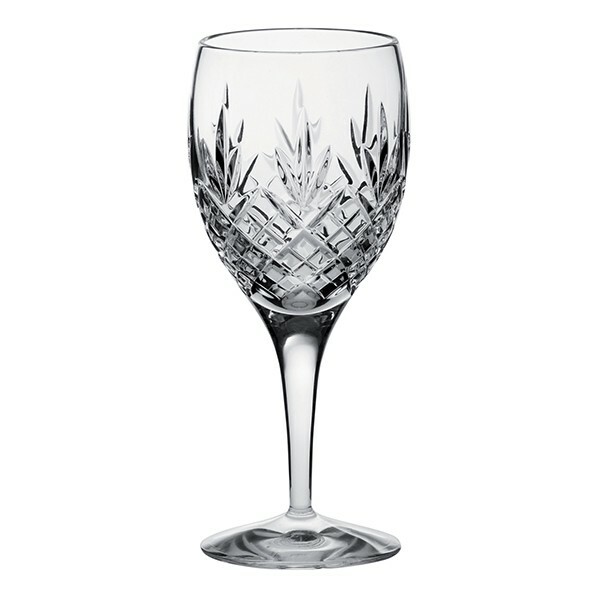 The Royal Scot Crystal Edinburgh Large Wine glasses are ideal for drinking red wine, water or a large rose or white wine. If you prefer a smaller glass we also have a small wine glass. Supplied in luxury midnight blue presentation boxes.